Singer/Songwriter Music Showcase Benefit highlights local female singers/songwriters. All proceeds benefit the PCA. Chick Singer Night (CSN) was founded in 1988 and is the nation’s original and longest-running songfest and showcase for women. Currently, CSN is held in 17 cities across the nation and in Sweden. The Boston Chapter of CSN was founded in 2004 and is hosted by Directors Marcia J. Macres of Westford and Jennifer Truesdale of Arlington, both local musicians and business owners. CSN Boston is a non-profit organization that highlights local female singers/songwriters while raising money to benefit venues and local music programs that empower girls/women to “find their voices”. All performers are backed by the CSN Boston Band of seasoned musicians. CSN Boston welcomes men to its performances and occasionally features an “Are You Man Enough?” segment. CSN Boston shows were historically held at Johnny D’s in Somerville, but CSN Boston currently is held in a number of towns in the Boston area to highlight local artists and venues. 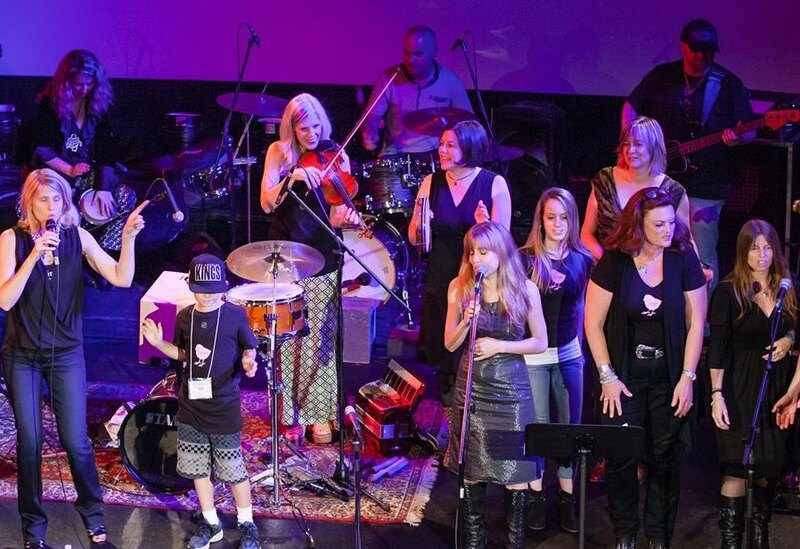 Over the last 14 years, CSN Boston has shared the stage with hundreds of incredibly talented women and men and has donated approximately $25,000 to music programs and venues in the Boston area. Doors open at 7 p.m. Seating will be cafe-style. BYOB and BYOA.